Those who know me know how I feel about small towns. Why spend allot of money and vacation leave time to travel to far-off places in search of something interesting to see and experience when we are surrounded by a multitude of interesting places to experience within just a couple of hours off the well-beaten path by car. A couple of weeks ago, our own family’s travels brought us to one such place… New Glarus, Wisconsin (Population 2,172). Our journey into New Glarus left us feeling a bit like we were driving through Europe. 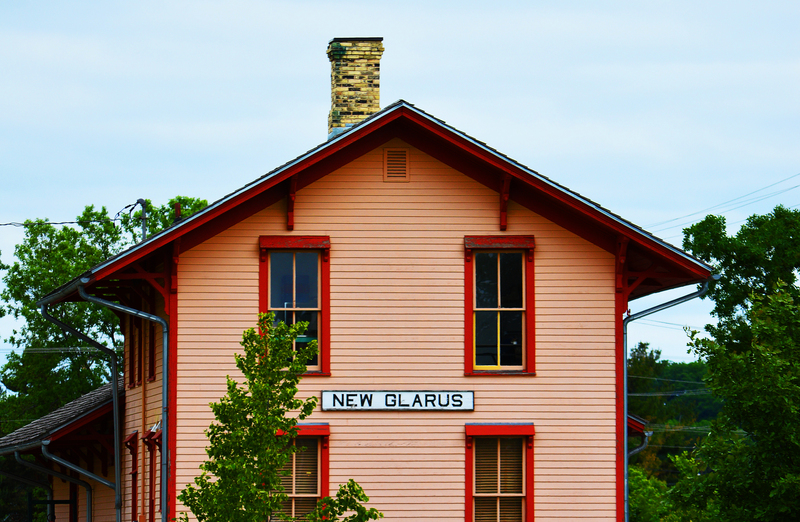 It’s no coincidence as New Glarus was settled by Swiss immigrants over 160 years ago and the town has proudly held onto their Old World Swiss heritage and traditions. As a matter of fact, many refer to New Glarus as “Little Switzerland”. 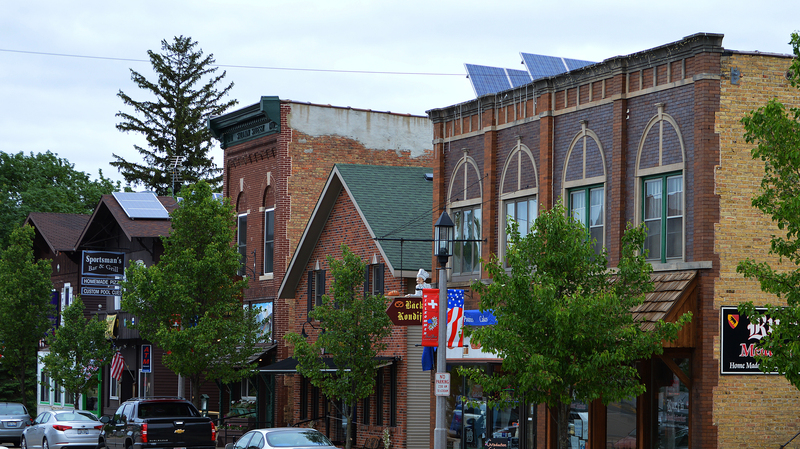 The shops, bakery, meat market, cheese shop, hotel and restaurants situated within the historic architectural walls of New Glarus’s downtown buildings provide a wonderful combination of experiences. 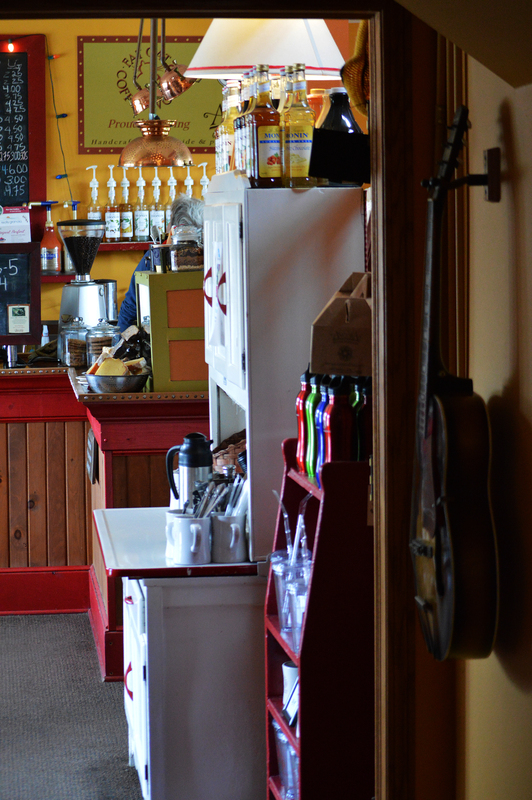 Our morning began with a craving for a nice cup of coffee and we didn’t have to look far to discover Fat Cat Coffee Works, a small coffee house situated in what appeared to be an old train depot. The atmosphere was homey, the coffee terrific and overall it’s the kind of place that would leave any Chicago neighborhood coffee shop frothing with envy. The interior is colorful and full of detailed touches that can only come from a small business where the owner is also the one welcoming you in from behind the counter. Personally, I liked the 0ld arch top guitar that was hanging on the wall, which I discovered as we were leaving was perfectly tuned and ready to be played… to bad we had to move on. Moving forward from coffee, dropped by the 100+ year-old bakery tradition of the New Glarus Bakery where the kids picked out their choice of fresh doughnuts and pastries. I picked up a fresh loaf of sourdough bread to enjoy later on. There is a very special place in both my heart and stomach for classic “old school” bakeries. Where I grew up, these were the only types of bakeries long before the rise of low cost/quality, cheap ingredient-enriched industrial supermarket bakeries. 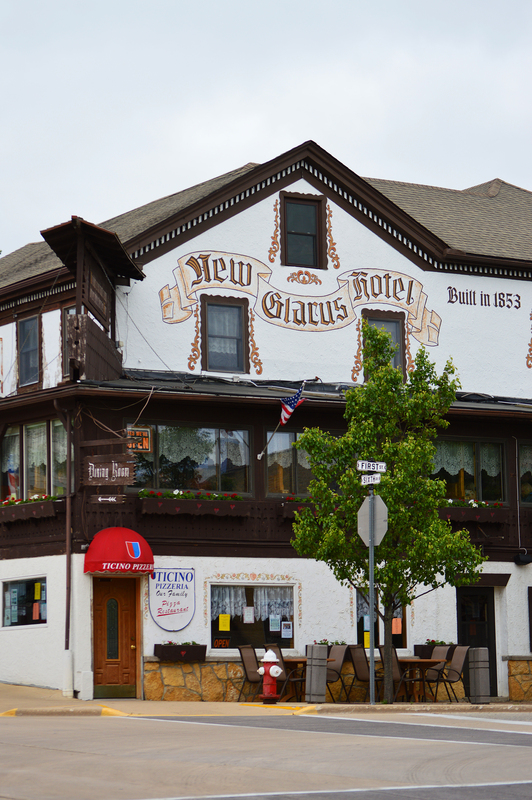 Since we were in New Glarus just for the day, we didn’t get a chance to experience the unique accommodations, including the New Glarus Hotel which appears to have been cut directly from the Swiss Alps and placed into downtown New Glarus. After walking around downtown New Glarus and letting the kids burn off some energy in the park, we were ready for lunch. While there are an array of options, we chose the Swiss-American culinary offerings at Glarner Stube (4.5 out of 5 stars on Yelp with over 50 reviews is impressive). Once inside the modest rustic space you already feel as though you’ve been transported into a ski lodge within the Swiss Alps. The long bar is full of beer taps featuring nearly the full line of another local product we’ll get to in a bit. Bring your appetite to Glarner Stube as these authentic Swiss recipes are like a soothing wave of culinary comfort. I ordered the Geschnetzelets “Stube Style” veal slices in a rich and creamy mushroom wine gravy with a side of Roesti, a Swiss-style fried potato dish a bit like shredded hash browns. My wife and her sister split the traditional Weiner Schnitzel pan-fried veal cutlets with a buttery sauce. Keeping to their Wisconsin roots, we also enjoyed some beer-battered fried cheese curds prior to the meal. While the kids weren’t feeling adventurous, my oldest son ordered a BLT which was made with some of the most incredible bacon I’ve ever tasted. I asked the waitress where the bacon was made, she told me just a couple of doors down at Ruef’s Meat Market where we determined would be our next stop. 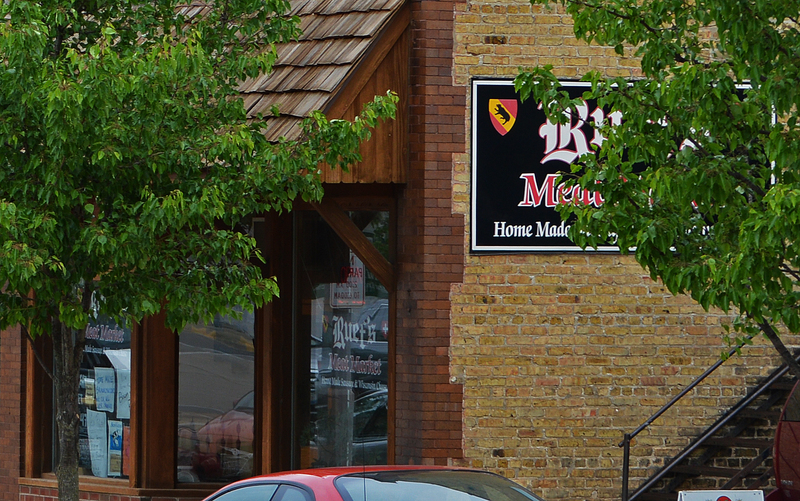 Your first step through the door at Ruef’s Meat Market and the rich aroma of their on-premise smokehouse hits you right away. The place reminds you of those vintage photos you see of the old-fashioned butcher shop where meat was cured and smoked mainly as a means of preserving food. Today, meat is smoked and cured because it’s simply delicious. Wish I had more photos to share, but unfortunately I was so enamored with the place that I forgot to take photos. As I stared into the cases, it didn’t take long to feast my eyes on a dark-colored whole double-smoked pork belly that was just begging to be sliced. I walked out with 2 pounds of fresh thick-cut slices of this gloriously indulgent pork. There are other historic sites and museums to experience in New Glarus, but unfortunately our time was somewhat limited. 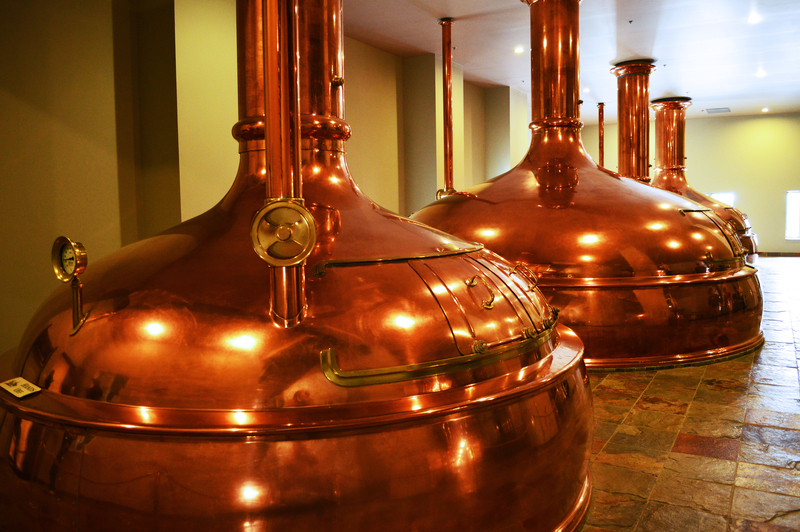 I encourage you to check out this link to learn more about other New Glarus attractions. Of course, there was one more stop we were interested in making during our time in town which is the home of the Spotted Cow, Cabin Fever, Two Women, Moon Man and an assortment of other characters… the New Glarus Brewery. Over the past couple of years, I’ve become familiar with New Glarus beers during other visits to Wisconsin. As a matter of fact, one of the things I love about New Glarus beer is you can only get it in Wisconsin… at least for now. The brewery is certainly going through a growth spurt as construction abounds and much of the brewery you can visit as part of a self-guided tour has that new facility look-and-feel. Nonetheless, the place has a great vibe and plenty of opportunity to sample from the source. In their store downstairs, you can stock up on your favorite New Glarus beer styles. On this particular day, they were selling a special 20th anniversary beer Belgian Dubbel Ale available for purchase but limited to two bottles per customer. I recently cracked open both bottles to share with a home-brewing friend and they were outstanding. Anyway, there is certainly a spirit of independent craft brewing pride at New Glarus and perhaps the resistance to out-of-state distribution is a testament.